First announced at E3 2011 after much speculation, the Wii U is the successor to Nintendo's immensely popular Wii console first released in 2006 and known for it's motion based approach which helped it compete (and eventually outmatch) rivals PS3 and X-Box 360 despite the inferior hardware. The Wii U is Nintendo's first step into HD gaming - the technology began with game consoles over seven years ago, but Nintendo's first use of it has had a big impact on the gaming community. The console was finally released in Europe on this day, and my long awaited pre-order arrived this afternoon - having set it all up and played for a bit, how does it hold up? 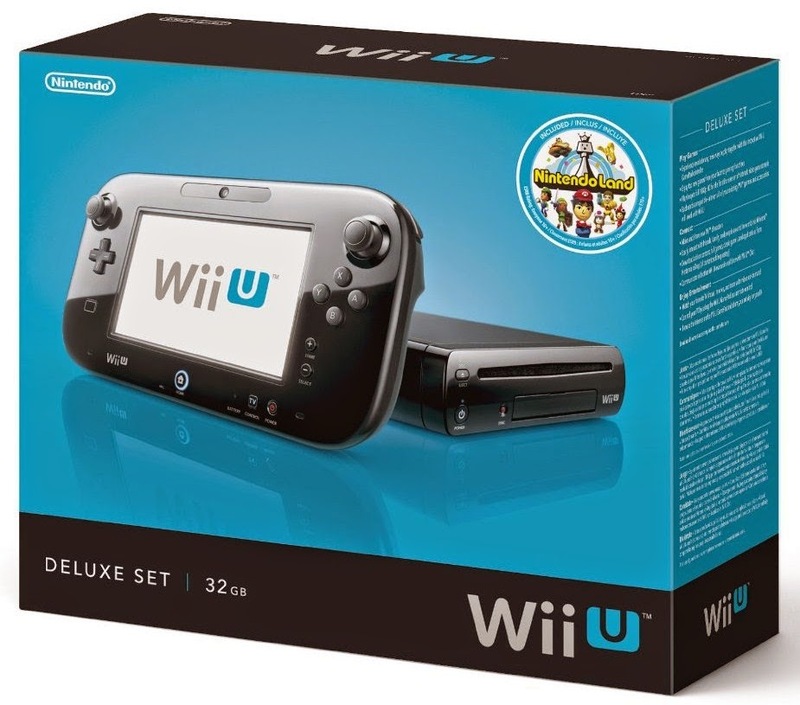 The Wii U is available in two packs: Basic and Premium. The Basic Pack comes with a white Wii U and GamePad with 8GB of internal flash memory (not massive, but an immediate improvement on the pathetic 512MB for Wii) as well as a HDMI cable and AC adapters for the Wii U console and the GamePad. The Premium Pack comes with all of the above, except the console (as well as the controller) is black and built with 32GB of memory. The extras include a charging cradle for the GamePad, a regular stand for it and the console, a sensor bar (exactly the same as the Wii one) and Nintendo Land. The Basic Pack retails for about £250 in the UK whereas the Premium goes for about £300, though this can differ amongst retailers. In comparison, the Wii and 3DS launched at a price of around £180. I myself purchased the Premium Pack. The console itself very slightly larger than the Wii, but aside from a sleeker and thinner design, not much has changed. You still have a slot loading disc drive with eject and power buttons alongside it as well as the trademark red sync button to connect GamePad and Wiimote controllers to the system. Secluded under a small panel is the SD card slot, again like the Wii, only it is joined by two USB ports. There are also two USB ports at the back of the console as well as the generic ports for the AC plug, HDMI cable, sensor bar and AV cables should you not want or be able to use HDMI. The console is much less attractive than the Wii when positioned vertically due to the ugly and cheap looking stands; it looks best on it's bottom. The GamePad is almost the same size as the console, with the touchscreen itself stretching out 6.2 inches - it is resistive, meaning multi-touch is not possible, but thats really not been a problem for myself. The GamePad's screen is surprisingly high quality and sensitive, and the controller itself is nicely light and feels great to hold and play with. It's size may seem offputting, but I assure you it's a well designed and gorgeous piece of kit. Setting up the Wii U was an absolute catastrophe and took well over 90 minutes, which doesn't include transferring Wii data. The basic initial setup was simple until it came to connecting to the internet - no matter how many times I tried and how many settings I messed around with, the console would just not connect to my perfectly functional router. I learned that this was a widespread issue, and the fix was easy but tedious - input all the settings manually, including the IP address and Subnet Mask. This will eventually allow the console to connect properly, and then you're greeted by the infamous system update: to get the complete package of software and features, you'll have to download this, and for me it took a whopping 75 minutes. Ouch. Nintendo Land is packed with enjoyable if short lived minigames. The Wii transfer took just over half an hour or so, and was a relatively easy process. Once that was done, I could delve into some Nintendo Land - this game is much like Wii Sports in a sense that it demonstrates the capabilities of the GamePad and is, in the case of the Premium Pack, bundled with the console to get newcomers started. Though Wii Sports was a dull and lifeless game that only really became fun due to well implemented motion controls, Nintendo Land is a colourful, varied and enjoyable experience that feels like an actual game instead of a controller tour. I have yet to fully experience all the Nintendo Land minigames, but it's safe to say I am really enjoying it at this stage, my only main gripe being the irritating screen tilting that matches the movements of the GamePad in the hub world. Visually, it's a beautiful game full of colour and charm, and the HD influence is clear from the beginning - everything is extremely crisp (the same can be said for the menus) and it gives us a good indication of what the Wii U is capable of. I also tried out some of the other features, namely Miiverse, which plays out like a Facebook for Wii U gamers. 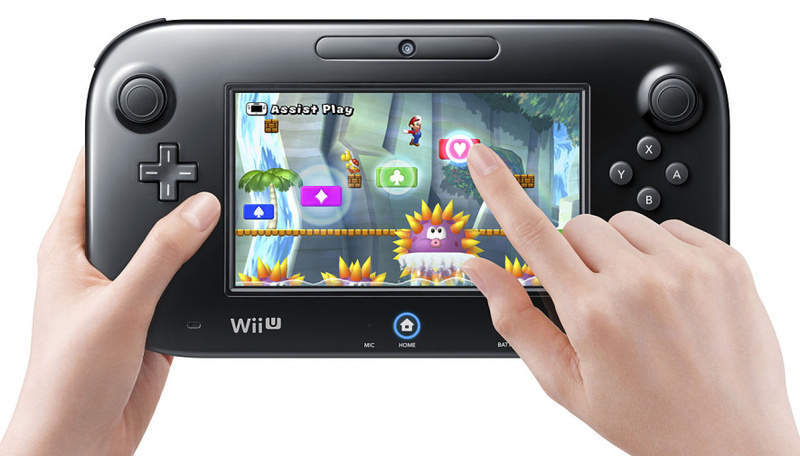 You can visit forums for available Wii U titles and post messages and drawings conveying your thoughts or queries. You can like other people's posts, which is dubbed 'Yeah!' in this app, and can also reply - in a manner also similar to Facebook, you'll receive notifications when a person replies to or likes a post of yours. Though it seems basic, it opens up a whole new dimension of social interaction on the system, making it feel much less of an isolated experience when compared to the Wii and it's terrible messaging service. Other things I tried include Youtube, which works well enough despite meh video quality and the Daily Log, which simply records your gaming activity including the number of times each game or app has been used and the total playtime. It feels a bit less deep than the 3DS one, but is still a nice little feature. The Wii U GamePad prototype from E3 2011 - it has changed quite a bit since! So, that concludes my initial thoughts. I'm very excited for the prospects of the Wii U this generation and I am looking forward to seeing how it competes with not only the new consoles from Microsoft and Sony but also it's predecessor, which has topped around 100 million in sales. At this stage, if you really want the console, then it's a worthy investment - the launch lineup is much stronger than the 3DS and Wii, and the system itself will easily entertain you outside of gaming alone. Who knows what will happen in the future, but I believe this generation of home consoles is set to be one of the biggest yet.